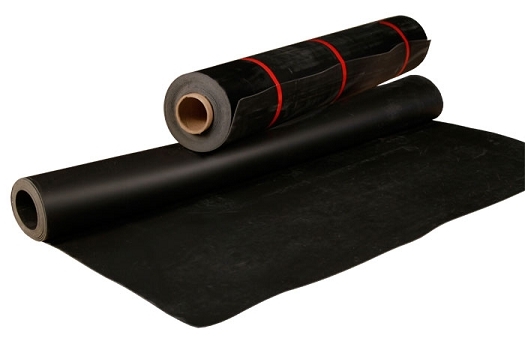 If there is one product that has changed face of the sound proofing industry it is the Soundproof Barrier, also known as the Mass Loaded Vinyl (MLV). For years prior to this unique product contractors were using lead sheeting. Finally, MLV was introduced and now we have a non-toxic replacement that is reliable and efficient. Since its introduction Mass Loaded Vinyl has been a number one seller in the Soundproofing industry. Its sheer mass holds the ability to block out unwanted noises in both walls and ceilings. Soundproof Barrier or Mass Loaded Vinyl (MLV) is a flexible, heavy product that comes in rolls. Simple to install, Soundproof Barrier is an easy and effective choice for your soundproofing project. It is thinner and softer then drywall and when installed has a flexibility that diminishes sound vibration. When set between drywall the sound vibrations must work through two types of material thus creating a more soundproof barrier. For today's commercial, institutional and residential projects standard construction will not provide adequate privacy between spaces. It is common practice to place domestic spaces on top of or next to commercial institutes that are loud and active, especially in a city! Soundproof Barrier provides needed noise reduction to allow one to live quietly within a city.